The RCA Mark II Synthesizer at the Columbia-Princeton Electronic Music Center at Columbia’s Prentis Hall on West 125th Street in 1958. 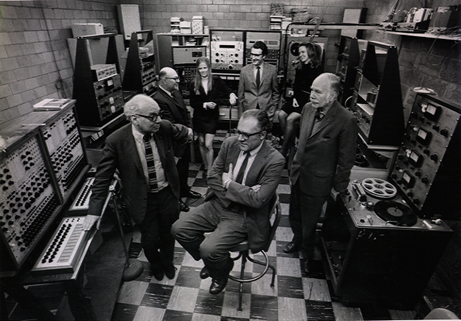 Pictured: Milton Babbitt, Peter Mauzey, Vladimir Ussachevsky. 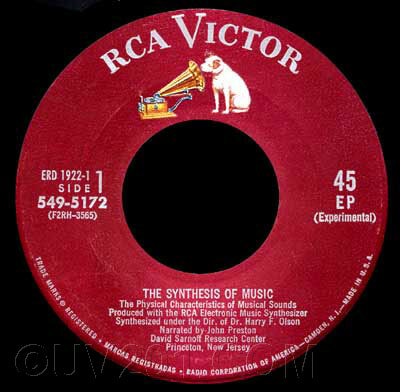 In the 1950’s RCA was one of the largest entertainment conglomerates in the United States; business interests included manufacturing record players, radio and electronic equipment (military and domestic – including the US version of the Theremin) as well as recording music and manufacturing records. In the early 50’s RCA initiated a unusual research project whose aim was to auto-generate pop ‘hits’ by analysing thousands of music recordings; the plan being that if they could work out what made a hit a hit, they could re-use the formula and generate their own hit pop music. The project’s side benefit also explored the possibility of cutting the costs of recording sessions by automating arrangements and using electronically generated sounds rather than expensive (and unionised) orchestras; basically, creating music straight from score to disc without error or re-takes. 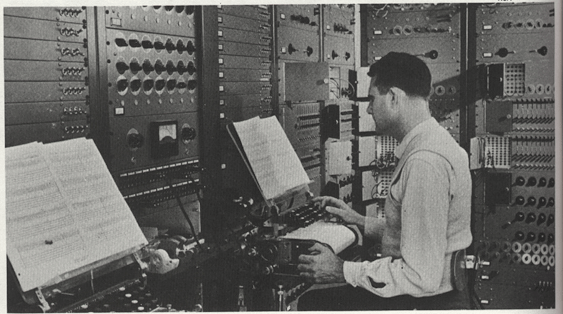 The RCA electrical engineers Harry Olson and Hebart Belar were appointed to develop an instrument capable of delivering this complex task, and in doing so inadvertently (as is so often the case in the history of electronic music) created one of the first programmable synthesisers – the precursors being the Givelet Coupleux Organ of 1930 and the Hanert Electric Orchestra in 1945. 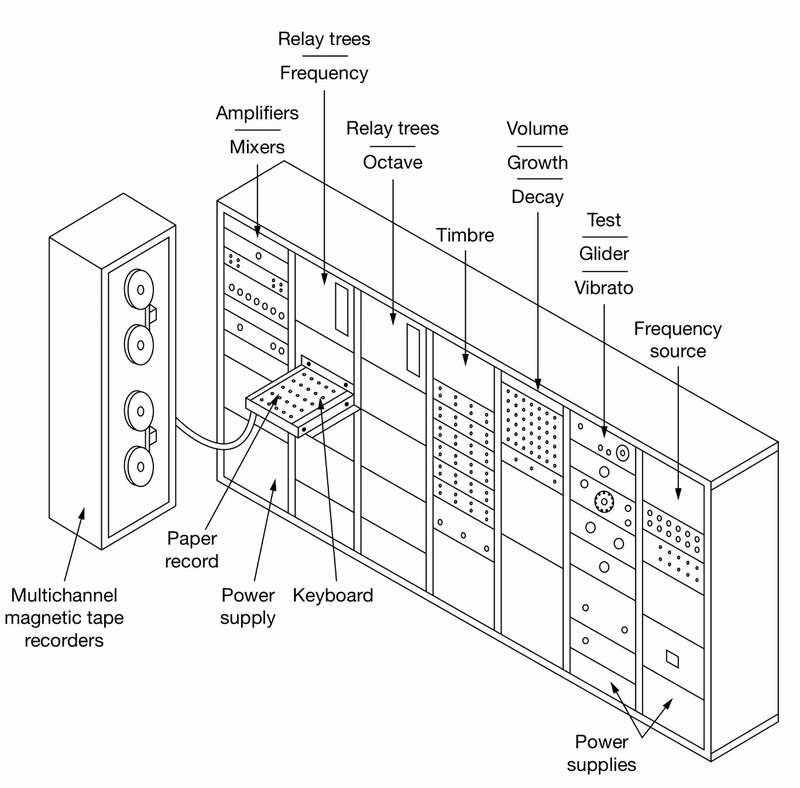 The resulting RCA Mark I machine was a monstrous collection of modular components that took up a whole room at Columbia University’s Computer Music Center (then known as the Columbia-Princeton Electronic Music Center). 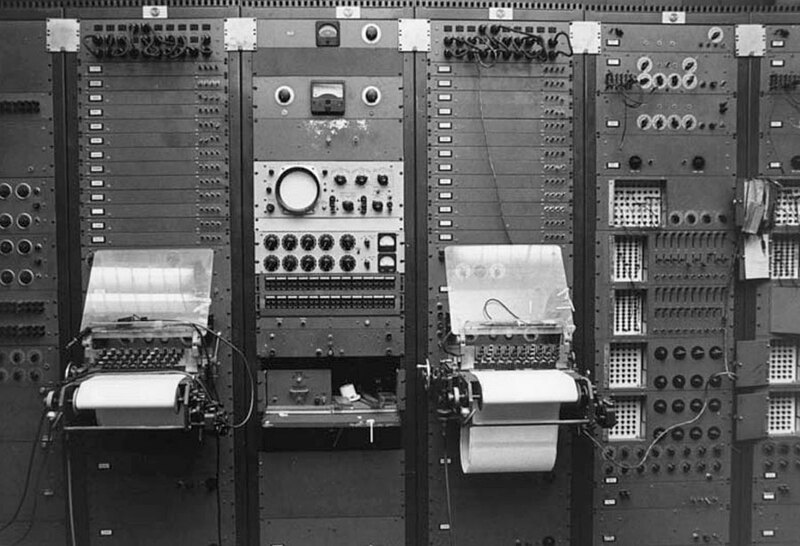 The ‘instrument’ was basically an analogue computer; the only input to the machine was a typewriter-style keyboard where the musician wrote a score in a type of binary code. The keyboard punched holes in a pianola type paper role to determine pitch, timbre, volume and envelope – for each note. Despite the apparent crudeness of this input device, the paper roll technique allowed for complex compositions; The paper role had four columns of holes for each parameter – giving a parameter range of sixteen for each aspect of the sound. The paper roll moved at 10cm/sec – making a maximum bpm of 240. Longer notes were composed of individual holes, but with a mechanism which made the note sustain through till the last hole. Attack times were variable from 1 ms to 2 sec, and decay times from 4 ms to 19 sec. On the Mark II, High and low pass filtering was added, along with noise, glissando, vibrato and resonance, giving a cumulative total of millions of possible settings. The sound itself was generated by a series of vacuum tube oscillators (12 in the MkI and 24 in the MkII) giving four voice polyphony which could be divided down into different octaves . The the sound was manually routed to the various components – a technique that was adopted in the modular synthesisers of the 1960’s and 70’s. The eventual output of the machine was was monitored on speakers and recorded to a lacquer disc, where, by re-using and bouncing the disc recordings, a total of 216 sound tracks could be obtained. In 1959 a more practical tape recorder was substituted. Why should the layman be other than bored and puzzled by what he is unable to understand, music or anything else?…Why refuse to recognize the possibility that contemporary music has reached a stage long since attained by other forms of activity? The time has passed when the normally well-educated [person] without special preparation could understand the most advanced work in, for example, mathematics, philosophy, and physics. Advanced music, to the extent that it reflects the knowledge and originality of the informed composer, scarcely can be expected to appear more intelligible than these arts and sciences to the person whose musical education usually has been even less extensive than his background in other fields. I dare suggest that the composer would do himself and his music an immediate and eventual service by total, resolute, and voluntary withdrawal from this public world to one of private performance and electronic media, with its very real possibility of complete elimination of the public and social aspects of musical composition. By so doing, the separation between the domains would be defined beyond any possibility of confusion of categories, and the composer would be free to pursue a private life of professional achievement, as opposed to a public life of unprofessional compromise and exhibitionism. But how, it may be asked, will this serve to secure the means of survival for the composer and his music? One answer is that, after all, such a private life is what the university provides the scholar and the scientist. It is only proper that the university which–significantly–has provided so many contemporary composers with their professional training and general education, should provide a home for the ‘complex,’ ‘difficult,’ and ‘problematical’ in music. 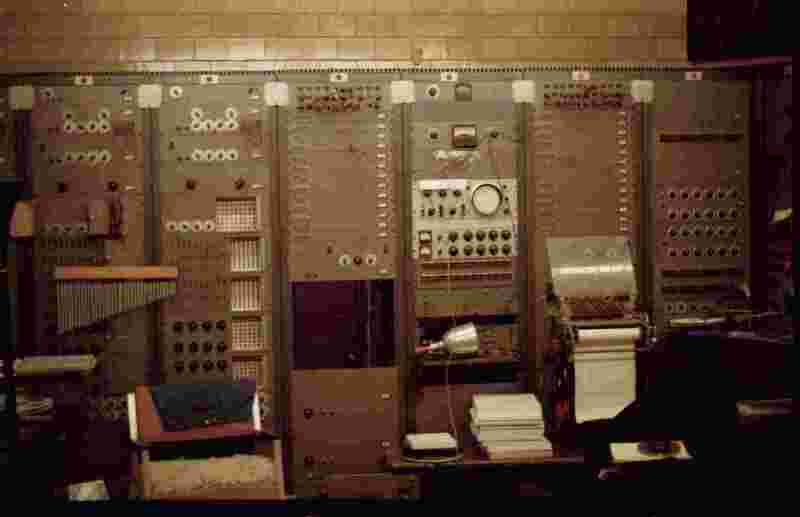 Among the composers who used the machine frequently were the Princeton composer Milton Babbitt and Charles Wuorinen, the latter of whom composed the Pulitzer Prize-winning “Time Econium” on it in 1968. 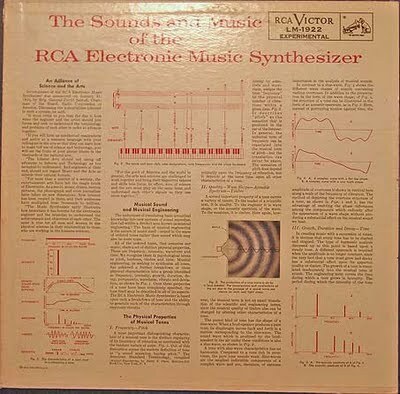 The pioneering RCA Synthesiser became obsolete and fell out of use in the early 1960s with the arrival of cheaper and reliable solid state transistor technology and the less complex programming interfaces of instruments such as the Buchla and Moog range of synthesisers. Neither machine survives in working condition today. The MkI was dismantled during the 1960s (parts from it cannibalised to repair the MkII). The MkII is still at Columbia University’s Computer Music Center, but has not been maintained and reportedly is in poor condition, it was vandalised sometime in the early 1970’s and little used after that. Enjoyed this article. 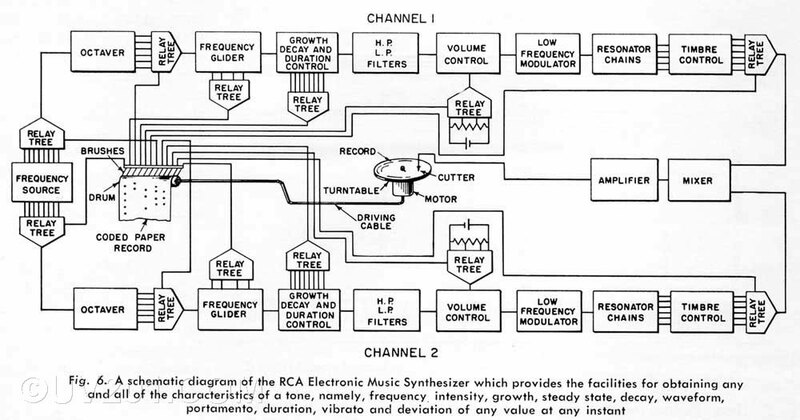 I wish someone would write a book solely on the RCA MARK II Synthesizer. Some great music came out of this instrument: Philomel blew me away when I first heard it during my High School days. Time’s Encomium was another classic that made a deep impression on me.